Shanti Sewa Griha - Shanti Leprahilfe Dortmund e.V. At 80+ years old, Hajur Ama is blind and has no family. 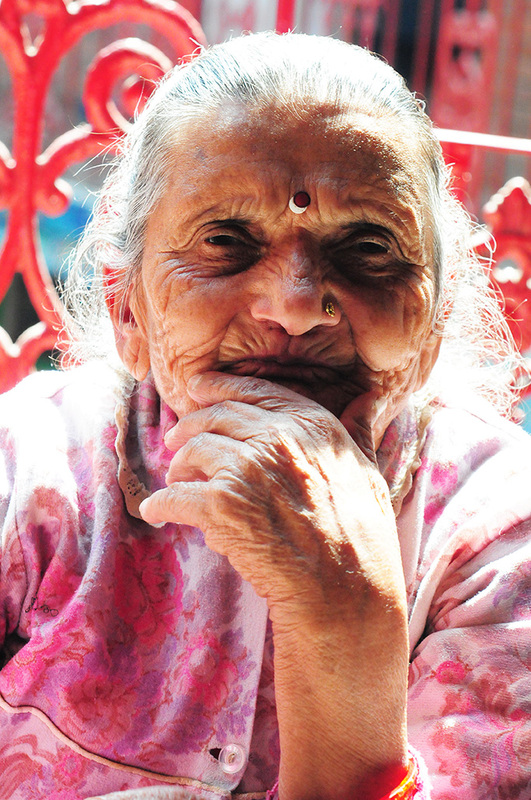 She has lived at Shanti for many years. Prakas came to Shanti in 2002. 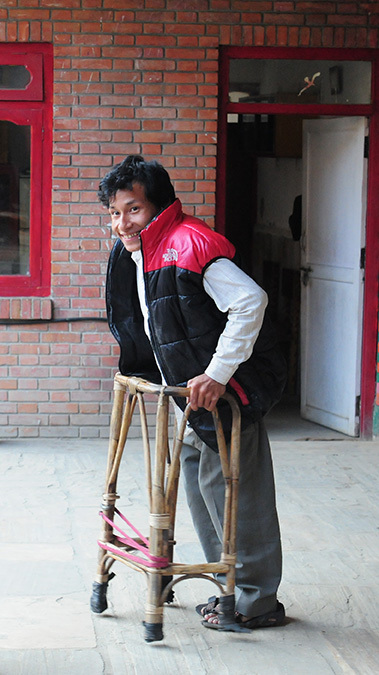 He suffered from polio as a child, and for this reason he can only get around with the aid of a bamboo walker. The goal of Shanti Sewa Griha is to help others help themselves. It provides the means necessary for people of all ages in need of help and protection to come and find refuge at Shanti. Shanti currently cares for a total of approximately 1,000 people in need. In the meantime, Shanti has become to well-known that people from all over Nepal are sent or brought here. Leprosy sufferers, accident victims, children and adults with physical disabilities due to polio, people with physical or mental handicap, the chronically ill, women expelled by their families, orphans, the blind, the deaf and people who are old and fragile. None of these people enjoy a status in the Nepalese caste society that allows them a life of human dignity. The caste system has officially been done away with, but social life is still shaped by this mentality. They receive medical care at the clinic or outpatient clinic. 70 chronically ill and extremely disabled patients are cared for in the wards. Small children receive care in the kindergarten. Beginning at the age of seven, the children visit the school in Budhanilkantha inspired by Waldorf teaching methods. The Shanti school bus, financed by a donation from Hape Kerkeling, takes them to school every morning. After the 5th form, Shanti finances secondary education in diverse job fields or further schooling, up to college entrance qualifications for those with corresponding ability. The seriously ill are cared for in the hospice associated with the clinic.